All this week there will be 70th anniversary celebrations of the UK’s public treasury, the National Health Service. Of course it is no coincidence that it's also the 70th Windrush anniversary. The beginning of a world beating national health system, free at the point of entry, desperately needed a work force that matched its lofty ambition. My mother’s Caribbean generation that arrived after being invited by the UK Government to work in this relatively new system, clearly fitted that bill. At Eighty years of age, having worked most of her adult life in the NHS,my mum now suffers from severe back, knee and hip pain. ‘Back then son, you just carried patients from one bed to another. No health safety then. But you just got on with it, we were there to serve, ‘ she often tells me. 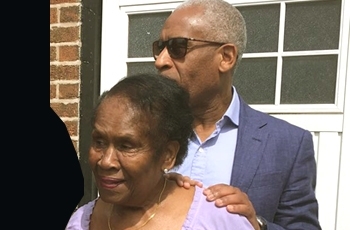 But it was that special dedication to perhaps, a higher calling that the women of the Caribbean, including my mum, that contributed to making the NHS a world beater. If I'm honest I’m a little disappointed, but not altogether surprised that my mother, and others like her, who gave her greatest years to the NHS, have not received a card from the NHS, with the simple message: Thank you! A personal acknowledgement to a life time of service, thats all. So as we celebrate this anniversary, let’s remember all those pioneers , particularly those like my mum, who came from very distant lands for a lifetimes service and adventure. Thank you, Mum your role in making the NHS great!